There is perhaps no other subgenre in Hollywood that generates such an insatiable desire for new content than that of costumed crusaders and superpowered origin stories. Part and parcel of that rabid appetite can be traced back to the sheer volume of new projects simmering in various stages of development – supply and demand, and all that – and if comic book fans have been revelling in Marvel, DC and even Fox’s offerings across screens big and small hitherto, the next three-to-four years look set to uncover an embarrassment of riches. For Marvel, much of that new content will be channeled through the multi-billion dollar juggernaut known as the Marvel Cinematic Universe, and since Daredevil first stalked the streets of Hell’s Kitchen in 2015, the company’s Netflix arm has achieved one success after the other – yes, even Iron Fist broke a record of its own back in March. The latest addition to Marvel and Netflix’s small-screen universe is, of course, The Defenders, which will rally together Jessica Jones, Luke Cage, Iron Fist and Charlie Cox’s Man Without Fear on August 18th. Following that, and completing the studio’s TV lineup for 2017, is The Punisher. 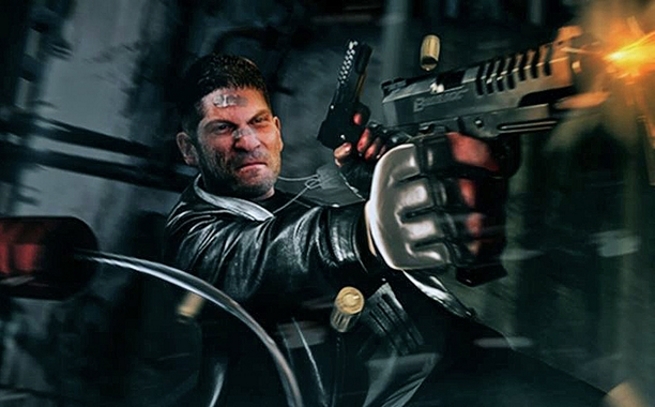 First introduced via the second season of Daredevil, Jon Bernthal’s glowering vigilante proved to be so popular – so downright magnetic – that his performance warranted an entire 13-episode spinoff series. 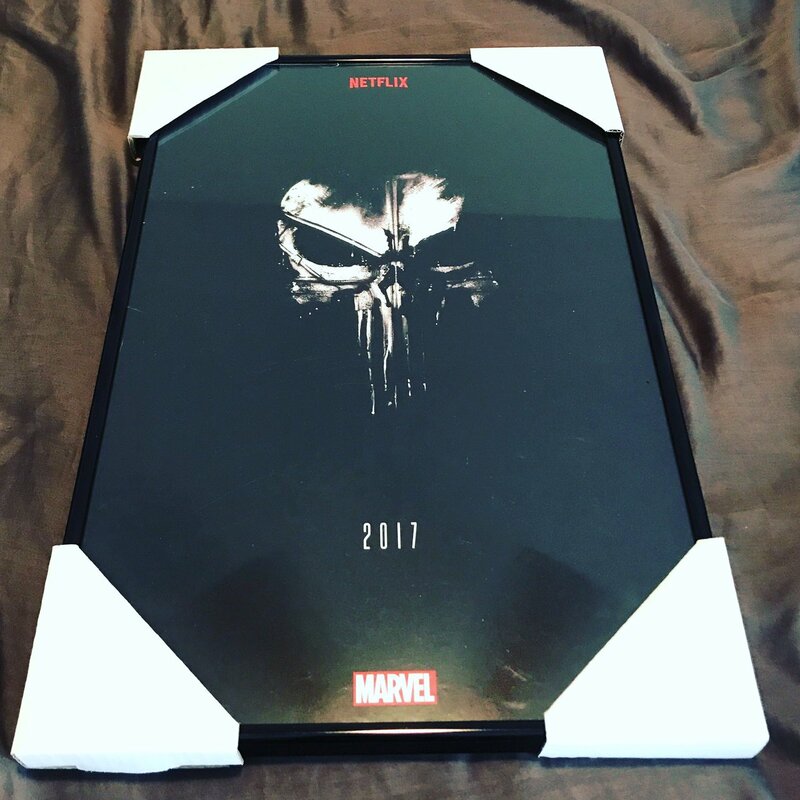 It’s still on course to premiere before the year’s end, and now, actor Jason R. Moore (Curtis Hoyle) has shared a rather beautiful, yet minimalist new poster for The Punisher via Twitter. With any luck, this one-sheet will be available for purchase closer to the show’s debut. “One batch, two batch, penny and dime.” The Punisher will herald the return of Jon Bernthal’s Frank Castle later in 2017. The Defenders, meanwhile, is booked in for a premiere on August 18th.